Are you on Instagram? If not … what are you waiting for?? Surely you’ve caved and switched to a SmartPhone by now, right? I urge you to get on it, download the Instagram app, and start taking pics! It’s a great way to showcase the beautiful state you live in, your recent travels, your amazing family, etc. 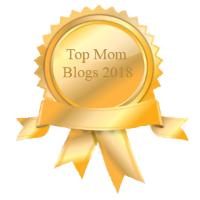 If you don’t already know, I’m a blogger over at Traveling Mom as their traveling mom with toddlers expert. And I LOVE it. We are an awesome group of traveling women who know their stuff! Check out our new website! Anyway, last month we did a June Photo Challenge on Instagram and it was a big hit! Thank goodness other people out there aren’t such slackers because I pooped out in the second week. Shame on me! Luckily, I have another chance. Starting TODAY, July 1st, Traveling Mom will be hosting another photo challenge. I hope you’ll join in and contribute. It’s always cool to see and connect with other people out there and see their beautiful photography! 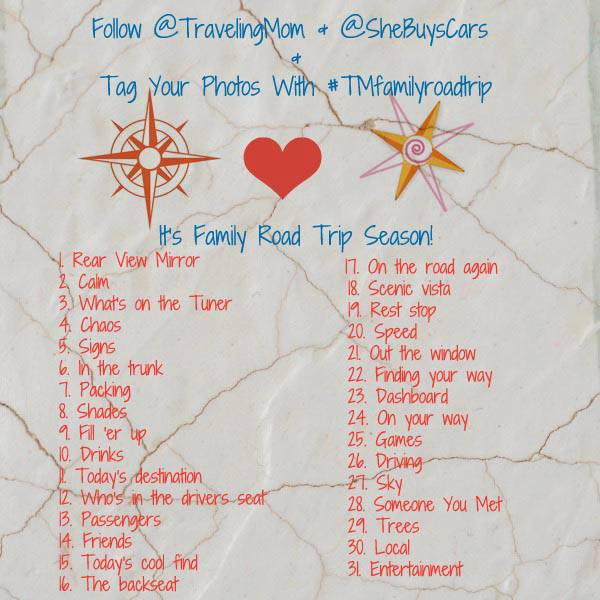 Just tag your photos #TMfamilyroadtrip when you add your photo to make sure we all see it. Who knows … Your photo might be added to the Traveling Mom Facebook, Instagram and/or Twitter page! 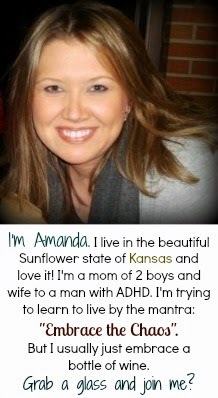 And if you want to follow me on Instagram, you can find me at @Amanda_aka_Mom. I'm sort of addicted! 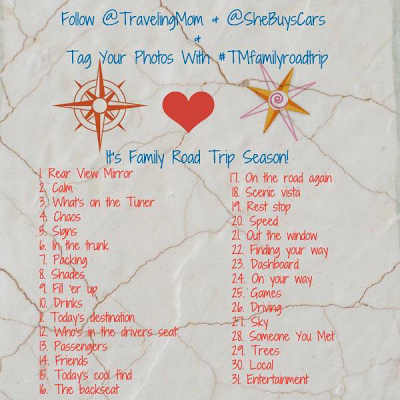 Don't forget to follow @TravelingMom and @SheBuysCars on Instagram as well! This month's Instagram Meme is sponsored by She Buys Cars. Check it out!